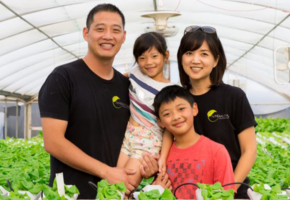 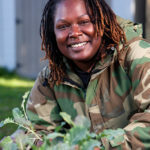 In August of 2010, Kelly founded Acta Non Verba: Youth Urban Farm Project, a non-profit urban farm that focuses on serving at-risk youth from kindergarten to 8th grade, and their families. 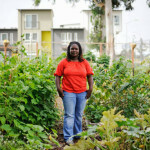 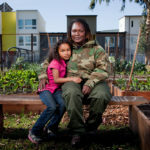 Childhood obesity and school dropout rates are abnormally high in East Oakland; Acta Non Verba’s mission is to utilize urban farming as a catalyst to increase the standard of living for inner city youth. 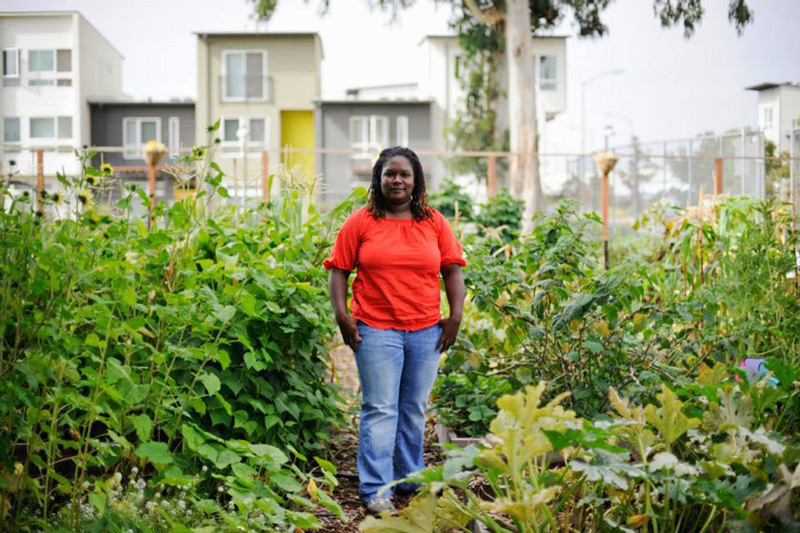 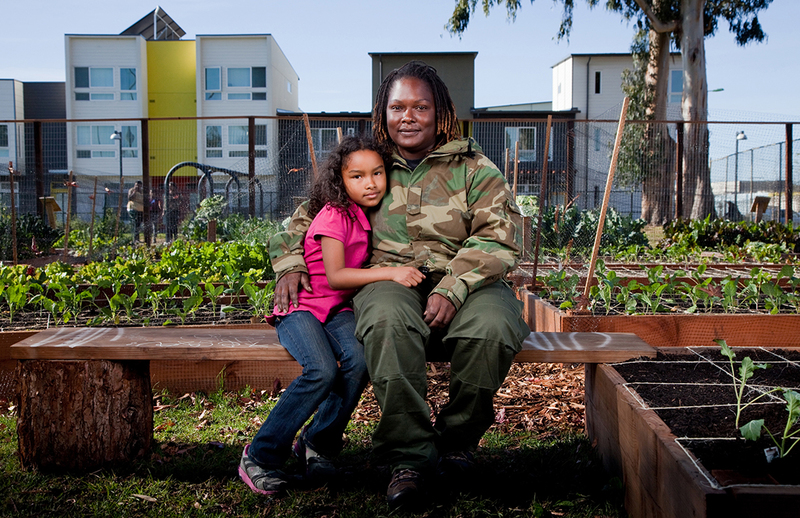 As a mother, Kelly feels very strongly in creating a healthier future for East Oakland youth. 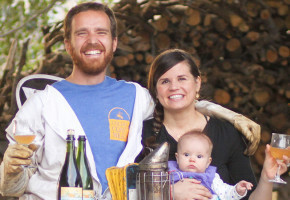 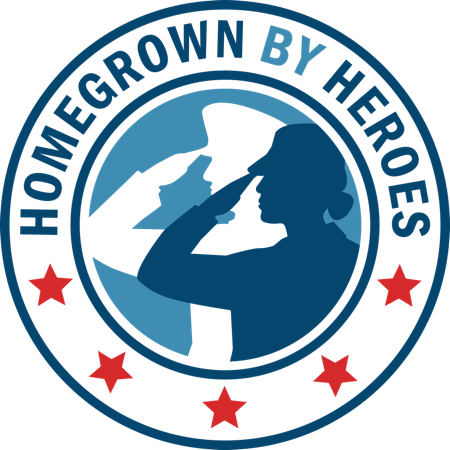 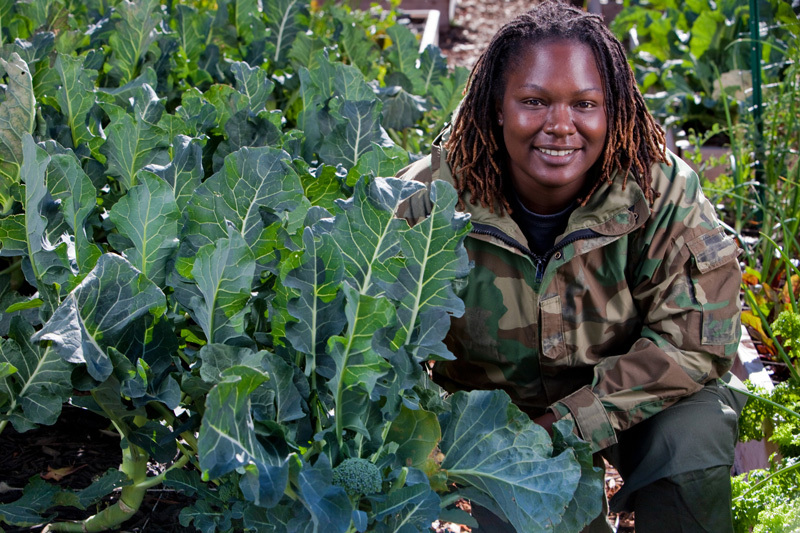 In 2011, Kelly joined the Farmer Veteran Fellowship Fund as a Bon Appétit Good Food Fellow. 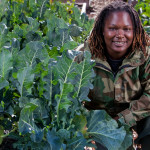 With the help of her fellowship, Kelly was able to purchase a heavy-duty pickup truck, a necessity for her urban farm. 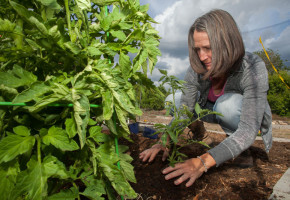 In the next year, Kelly plans to start a CSA for the local community, establish a farmers market on site and begin community classes on composting, cooking, basic gardening and other related topics. 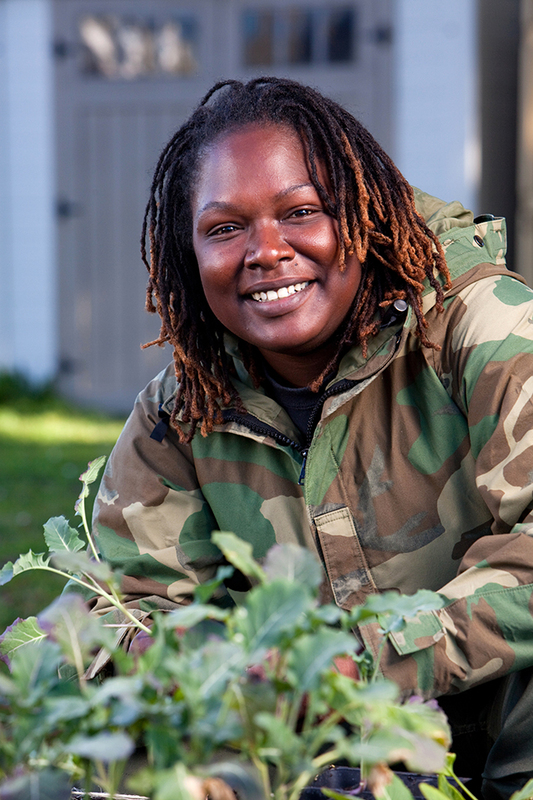 The money that will be raised through the farmers market and CSA will provide funding for educational opportunities for involved youth.